QMS Consultants specialize in adaptive re-use of structures. There are challenging, non-compliant structures that require analysis vis-à-vis the newly adopted International Building Code family. Our firm can perform an analysis outlining your building’s possible occupancy uses. Recent projects include the University of California Santa Cruz (re-use from H-6 occupancy to B occupancy with educational laboratory use) and Intel Corporation’s Santa Clara campus consolidation. A substantial number of projects, either due to their design intricacy or extensive capital investment, will benefit from the use of secondary design overview (Architectural, Landscape, Civil, Structural drawings and specifications). Our firm can act as Owner´s representative and scrutinize the documents for completeness while assessing whether or not the documents achieve design intent and optimum performance. Recent project reviews include Intel Folsom´s FM-8 and a lab at Alza Corporation´s Vacaville, California location. 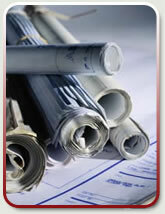 Architectural and MEP firms are geared to efficiently generate construction documents. Our firm will complement your services by performing the programming, conducting end user interviews and by generating space/utilities matrix usage analysis. We’ll "plug-and-play" with your facilities and/or design team and aid in your space utilization layout effort. QMS Consultants has experience with cleanroom build-outs and high-tech tool installations. Whether you relocate staff, toolsets, or modify your manufacturing space configuration, we can act either as part of the Owner´s internal staff as a Construction Coordinator or come alongside the design team as either "Construction Manager at Risk" or as an "Overseer" during the Construction Administration phase.